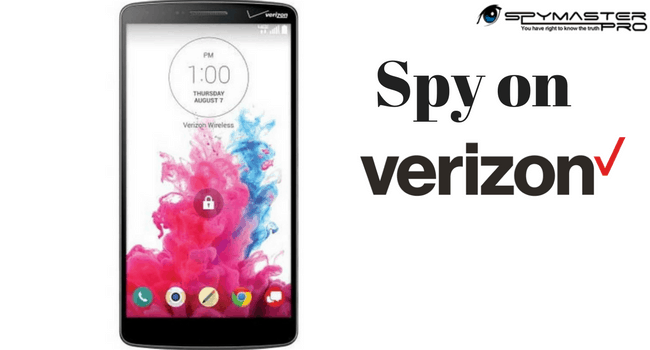 Spy on Verizon Mobile Phones Using Spymaster Pro! Verizon is one of the popular telecommunication companies in America that offers a wide range of mobile network services. This is why it is a common choice among mobile users residing in the areas where its services are active. Although, these mobile operators provide extensive calling services, but they keep users’ calling data safe and don’t reveal to other users. So, if one is willing to check someone’s phone details, he/she can’t do. So, are you looking for a convenient way to spy on Verizon mobile phones? Doesn’t have an idea how to do so? Well, no worries. Once in a life, one or the other person may go through a phase where spying on someone becomes crucial in order to bring out their truth. To monitor if your spouse is having an affair with someone behind your back? To find out the company, your children are into? So, if you fall in any of these categories, then we advise you to seek help of a reliable source. While surfing on the internet, you may find ample of solutions, but to find a reliable one may be difficult task. Have you heard of a spy software? Do you know what wonders it can do to you? Well, if not yet, then we are here to share with you about a unique tool that will help you to spy on Verizon mobile phones and any other Android or iOS devices to get an insight of someone’s phone data without even letting a user know that you are secretly and remotely tracking their phone data. Isn’t that a simple way in comparison to the other traditional techniques that people use it to implement to find out the truth and probably didn’t work. Spymaster Pro software is very simple to use on an Android phone as well as on an iPhone. While an android phone needs installation, iPhone needs iCloud credentials only. The software works in hidden mode, offers 24/7 multilingual support service, easily user-friendly interface, and easy refund policies. Ideally suited for various spying applications such as employee monitoring, spouse monitoring, and child phone monitoring, Spymaster Pro is a software that one can rely upon. So, what to think when such an exceptional phone monitoring software is there to offer you various solutions. So, buy this software today and spy on Verizon mobile phones using Spymaster Pro.